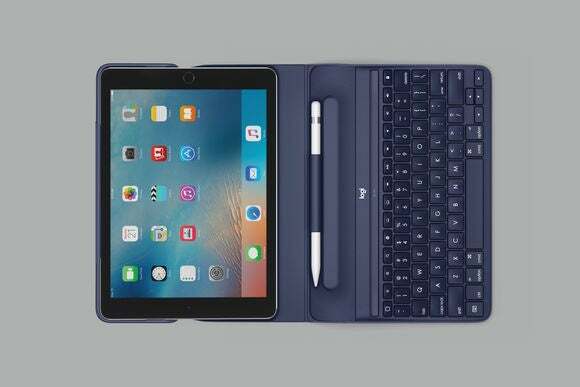 On Tuesday, Logitech launched the Create keyboard case for the 9.7-inch iPad Pro. 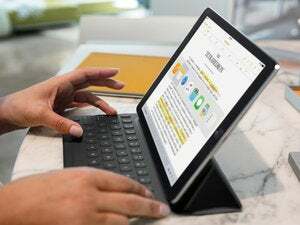 Just like Apple’s own Smart Keyboard, Logitech’s Create cases were designed to work exclusively with the iPad Pro’s Smart Connector. This allows iPad Pro users to bypass the need to charge their Create case or pair it using Bluetooth—you just hook it up, and it instantly works. Unlike on Apple’s Smart Keyboard, however, typing on the Create keyboard feels more similar to typing on a laptop. The Create keys are even backlit (which you can adjust) to make it easier to type on your iPad Pro in dark-lit places. The keyboard also has a row of iOS-specific shortcuts and commands. You can go back to your Home screen, search your iPad Pro or the web, adjust the brightness, and control audio from the keyboard without having to tap on the iPad at all. 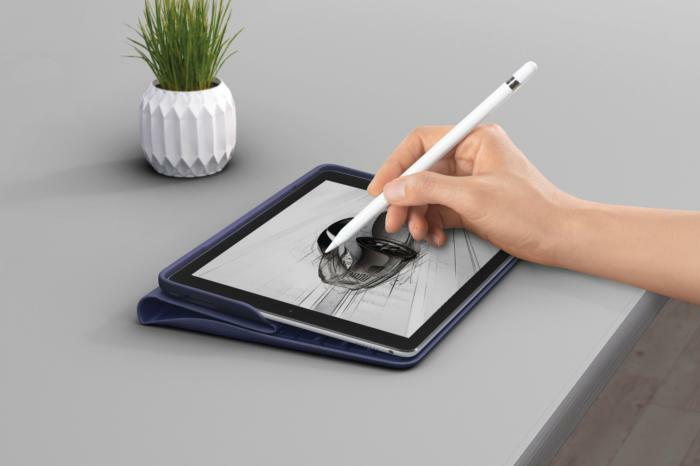 In addition, Create is also a protective folio case with water-repellent fabric, and it has a holder for keeping your Apple Pencil always within reach. All this makes the Create case one of the most versatile accessories for both iPad Pro models. The Create case for the 9.7-inch iPad Pro comes only in two colors—black and blue—while the case for the 12.9-inch iPad Pro comes in five different color schemes. Logitech’s Create keyboard case for the 9.7-inch iPad Pro is available now for $130, and you can find it via Logitech and on Apple’s online store. Apple’s Smart Keyboard for the 9.7-inch iPad Pro will set you back $149. Why this matters: When Apple first launched the 12.9-inch iPad Pro in fall 2015, Logitech had the Create case available in stock even before Apple’s own accessories were widely available. And when we reviewed it, Macworld contributor J.R. Bookwalter concluded that Logitech’s Crate case was far superior to Cupertino’s version, calling it “The Incredible Hulk of iPad cases.” So it’s a big deal that the case is now available for the 9.7-inch iPad Pro. Logitech’s case is also more affordable than Apple’s Smart Keyboard, which costs almost $20 more. 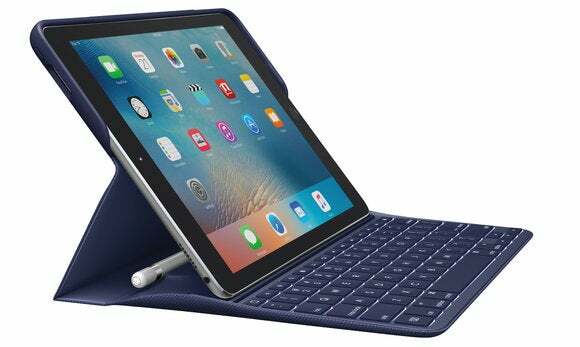 So for those of you who own or plan to purchase a 9.7-inch iPad Pro, you now have a cheaper, better alternative to Apple’s keyboard case.